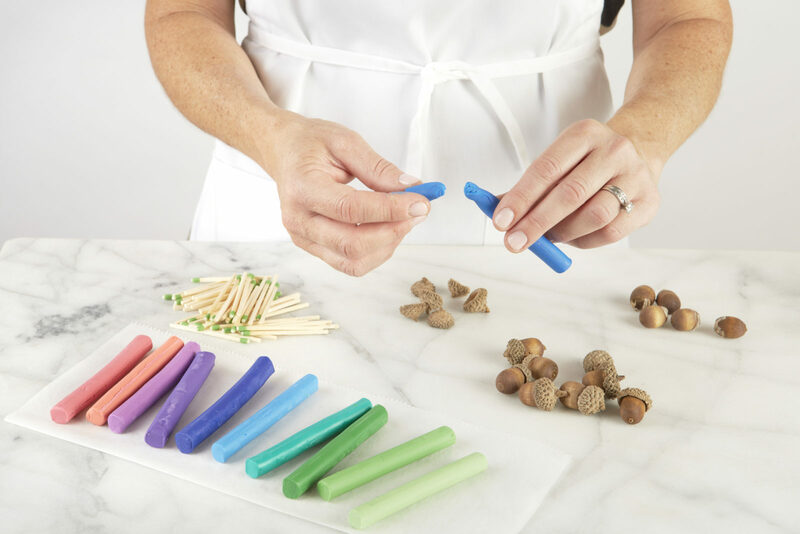 Get ready for Hanukkah with a scavenger hunt for acorns so you can create these adorable Acorn Dreidels. 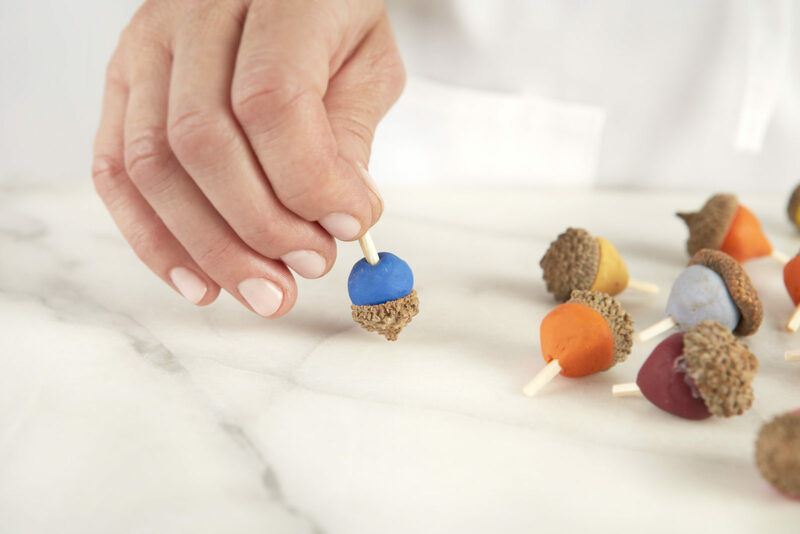 Start collecting acorns from your yard now. The more acorns the better. You will only need the shell so leave the nuts for the squirrels. 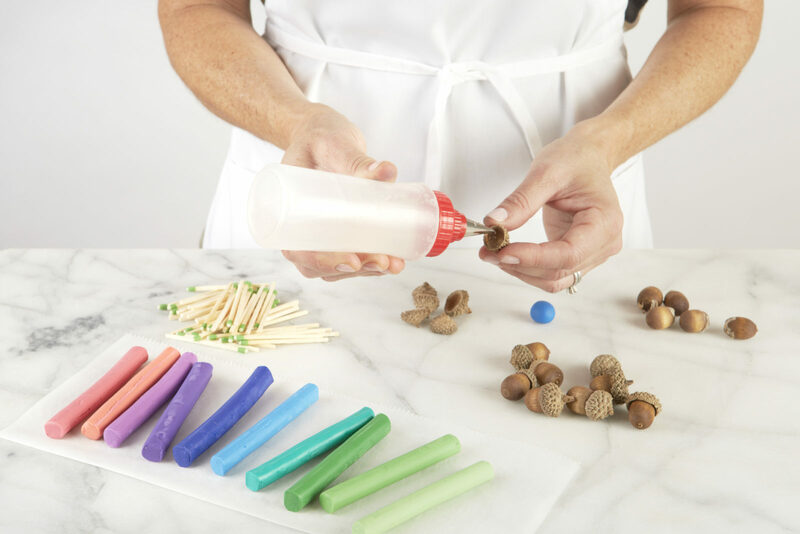 There are just a few quick steps to assemble your Acorn Dreidels then you can let the fun begin. Go ahead…sing and spin. The last one to fall wins! Dreidel, Dreidel, Dreidel, I made it out of clay (and acorns) and when it’s dry and ready oh Dreidel I will play. Break off a 3/4 “ piece of clay. 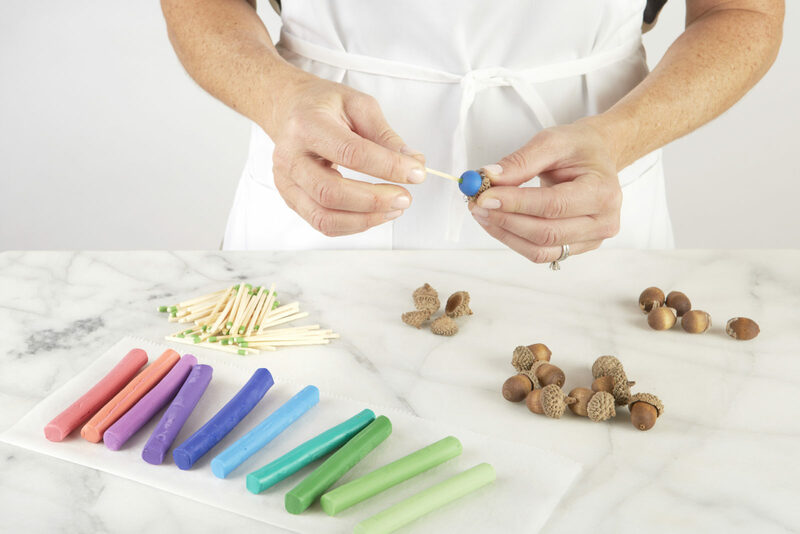 Add glue inside of acorn shell and glue in ball of clay. Put strike end of match in middle of clay and push in until it touches the shell. 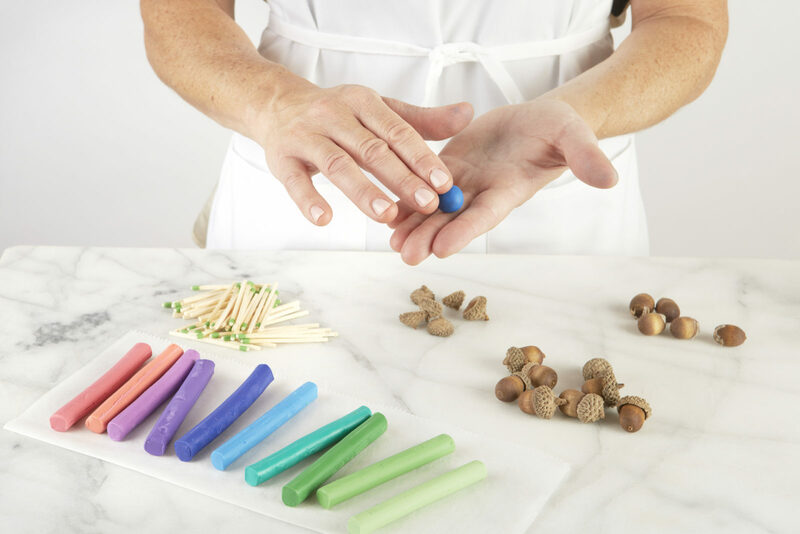 Use your hands to mold clay to give it the shape of an acorn.